Lavido 2-in-1 Purifyig Facial Mask & Exfoliator renews, exhilarates and refreshes the skin with organic pomegranate seed, macadamia and lemon oils. Pomegranate peel and seeds gently massage the skin and remove dead skin cells, while a combination of organic essential oils improve skin tone and suppleness. Wonderful treatment for acne prone skin as the dried pomegranate peels are ground into a fine texture that isn’t abrasive on the skin. 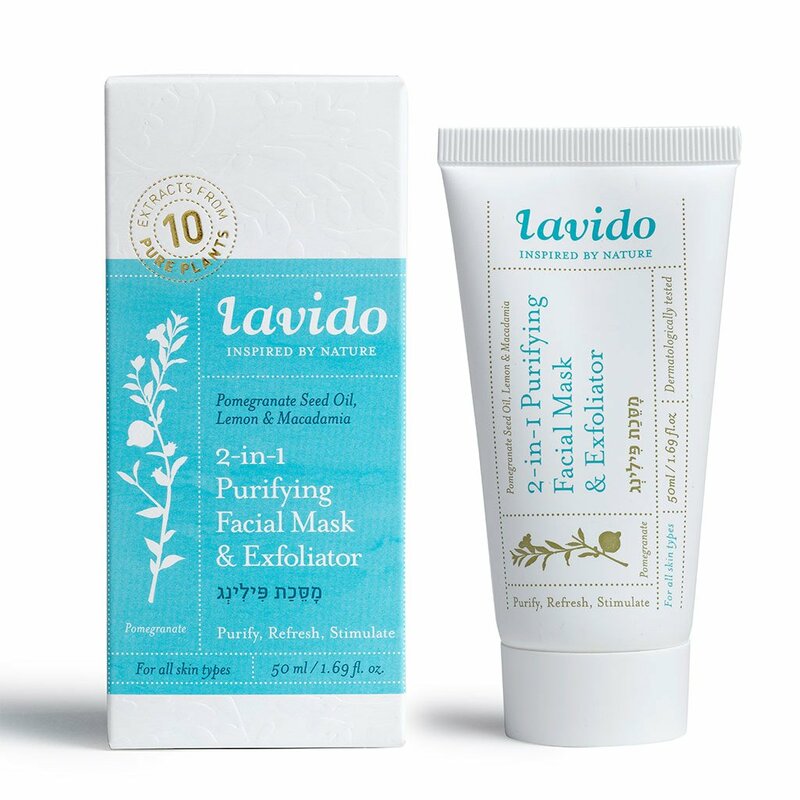 Lavido 2-in-1 Purifyig Facial Mask & Exfoliator is recommended for use up to two times per week. To use as an exfoliator, massage into skin in circular motions and then rinse off with luke warm water. To use as a mask, apply in a thin layer and leave on skin for up to 15 minutes. Rinse off with water. After cleansing, follow with Lavido moisturizer.